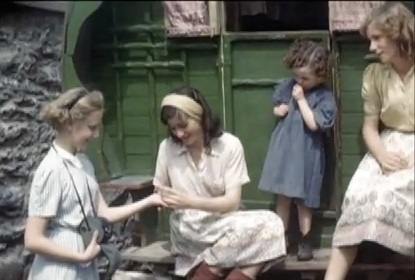 Four Wheels in Eire – Puck Fair from Film Archives UK on Vimeo. The subject matter of Travel and Mobility was especially pertinent to some recent work on a small section of our YFA film collections which receives little, if any attention, given that our core remit is geared towards ‘finding, preserving and showing’ moving images made in, or about, Yorkshire and since our merger with NEFA, the North East of England. Lesser known are the films within these collections that do not relate specifically to our region – the travelogues, holiday, documentaries, and observational films with subject matters far wider than our immediate county boundaries. 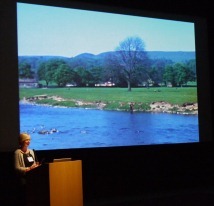 Our acquisitions and cataloguing programmes have almost permanent backlogs – which could be seen as a positive thing – we continue to access fascinating film collections about our regions, so our work is naturally prioritised towards creating access to content that reflects our focus on Yorkshire and the North East, as captured on film over the past one hundred years. 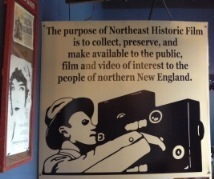 However, the nature of amateur collections, and many of our home movie collections, illustrate the much broader interests of the film maker, with freedom to choose their subject matter, locations, filming techniques and finished films long before the organisational constraints of faced by those of us working to preserve these collections today. So many films within this category are given a cursory examination, and, unless immediate preservation issues are identified, a short catalogue synopsis only – with the archivists promise to one day return to these films ‘when there is more time…………’ whenever that might be. We know, because we have all experienced it, that there is fascinating footage, potentially of equal cultural value to the people and places recorded the films. We try where we can to share that information ( for example in the UK through the network of regional film archives across England ) and in these days of digital delivery it is much easier to share the content as well. But such networks only unlock a small part of our collections, and the majority of the material remains hidden. One of the joys for those of us working on collections is the reaction of others to seeing films that have had very little, if any, exposure. Wunderkino provides a fantastic opportunity to come together to discover more about amateur film – but that is for a body of us with an already strong personal or professional interest. One major problem we are faced with is how to share these films with a wider audience, given the demands of our own remit and workloads. Doing so would not just make material accessible, but would also help us to discover just how significant, or in some cases unique these films are, reaching out to people with the knowledge that we simply don’t have back at base. A good example of this is the excerpt of film above, from the Puck Fair of 1948, which is still held every year in Killorglin, Ireland. This was made by a fine filmmaker from Rotherham, Charles Chislett, who, as well as his films based in Yorkshire, also made many excellent travelogues around Europe, Asia and Africa – see the Context for Rachel Discovers The Sea (1937). We hope that in the future we will be able to find the resources to make these films more available, and open up the rich cultural world they reveal.